A friend of mine once told me that he believes the Psycho franchise to the most underappreciated franchise in horror. When I pined, he told me that while most people regard the original film as a classic, the sequels are mostly dismissed as they started appearing over two decades after the first film. When I saw Psycho II, I got what he meant. No, it isn’t the first film, but it doesn’t try to be. Today, we’ll take a look at the follow-up, directed by Anthony Perkins (Lucky Stiff) himself. When Maureen (Diana Scarwid, What Lies Beneath, Another Happy Day), a nun, has a horrible accident, she goes on the run, leaving her old life behind. She finally ends up at the Bates Motel, being run by Norman Bates (Perkins). Norman has a new assistant in Duane (Jeff Fahey, Grindhouse, Atomic Shark) and a whole lot of skeletons in his closet after murdering Emma Spool, the woman claiming to be Norman’s true birth mother. 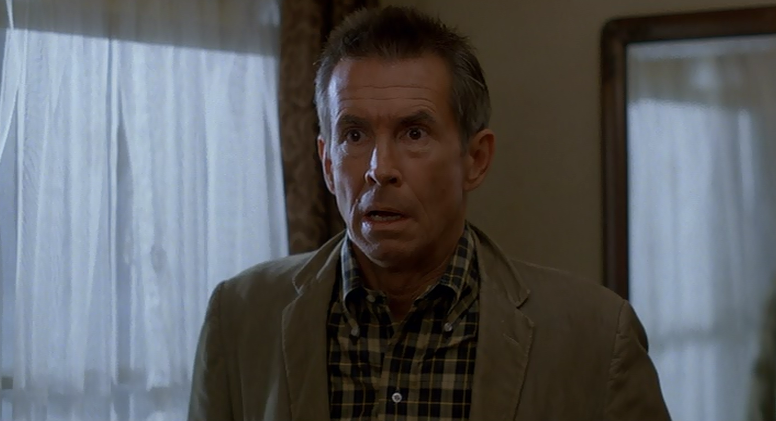 Psycho III isn’t as clean as its predecessors. There are a lot of moving parts here and they don’t hold up as well as what has come before. There is a subplot with the disappearance of Mrs. Spool and the journalist who suspects Norman. There’s the plot with Maureen and her striking resemblance to Marion Crane. Then there’s Duane, who has a plan of his own. Sadly, the multitude of plot points don’t hit as well as they did in Psycho II. The film does have its merits, though. There are plenty of callbacks and referential material to firmly tie this film to the rest, and it does build on the story without retread. Psycho III takes its own path without falling back on the same story over and over. Sometimes, the film’s connective tissue with the original film helps, sometimes it does not. Overall, Psycho III works well enough, though it never reaches the heights that it could or should. First-time director Perkins can’t juggle the pieces as well as should, but fans of the first two will find enough to like in this third installment. 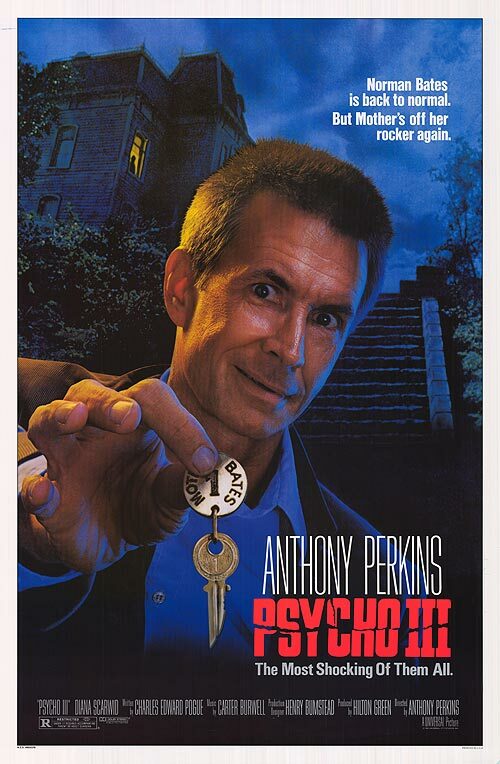 For my review of Richard Franklin’s Psycho II, click here.